A teenage dancer hurt in the Alton Towers rollercoaster crash has had her leg amputated above the knee. Health chiefs in Staffordshire this morning confirmed that 17-year-old Leah Washington, of Barnsley, had lost her left leg and also suffered a fractured hand in the crash. Her boyfriend, textile student Joe Pugh, 18, was also badly hurt. He was treated for broken knees and a head injury.but is now said to be making a good recovery. Alton Towers reopened to the public today after shutting its gates following a rollercoaster crash in which four people were seriously injured. Visitors began entering the theme park - which had been closed since Tuesday - from 10am, as the chief executive of the park’s owner, Merlin Entertainments, insisted it was committed to ensuring people can visit again “with confidence”. Sixteen people were injured on The Smiler ride when the carriage they were in collided with another which had come to a halt on the track. The X-Sector of Alton Towers - which houses The Smiler - will remain closed until further notice to allow the Health and Safety Executive access to the ride for investigations. The Spinball ride will also be closed at the Staffordshire theme park until enhanced safety protocols have been implemented, but Merlin Entertainments said this would take slightly longer than it had hoped due to the design of the ride. Merlin is thought to have racked up losses of around £500,000-a-day since the incident and it has also faced accusations that staff dithered for 10 minutes before making the first 999 call, despite screams of distress from bloodied passengers on board The Smiler. Nick Varney, chief executive of Merlin Entertainments, said the incident was a “terrible event” for everyone involved. The Health and Safety Executive (HSE) has removed the carriages involved in the crash and took them to the Health and Safety Laboratory in Buxton for further analysis. 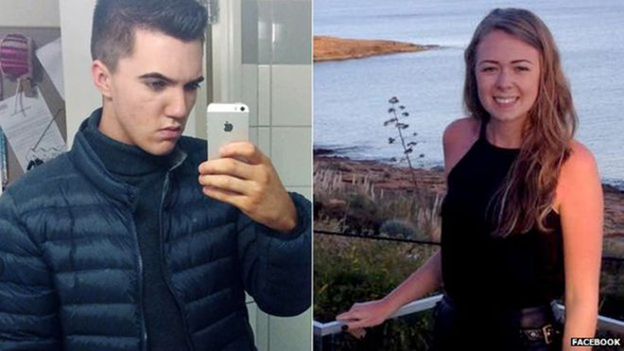 Other people seriously injured have been named as Daniel Thorpe, a 27-year-old hotel assistant manager from Buxton in Derbyshire, and Vicky Balch, 20, from Leyland in Lancashire. Ms Balch suffered potentially life-changing injuries in the crash, and is expected to make a “substantial claim for damages” to support her recovery.